One of Playstation's many downfalls with the PS3 was the annoyingly small size of the Dualshock 3. When holding the controller, players- especially ones with hands bigger than a 10 year old's- commonly struggled to get a real grip on it. Since the announcement of the PS4 many fans have remained suspicious on the size of the Dualshock 4; while the controller promises to offer us a flurry of new features, Sony only stated that the controller would be "bigger than the DS3", but would it be big enough to encourage refugees from the Xbox One crisis to migrate? Well if the latest image to make rounds on the internet is anything to go by, yes. 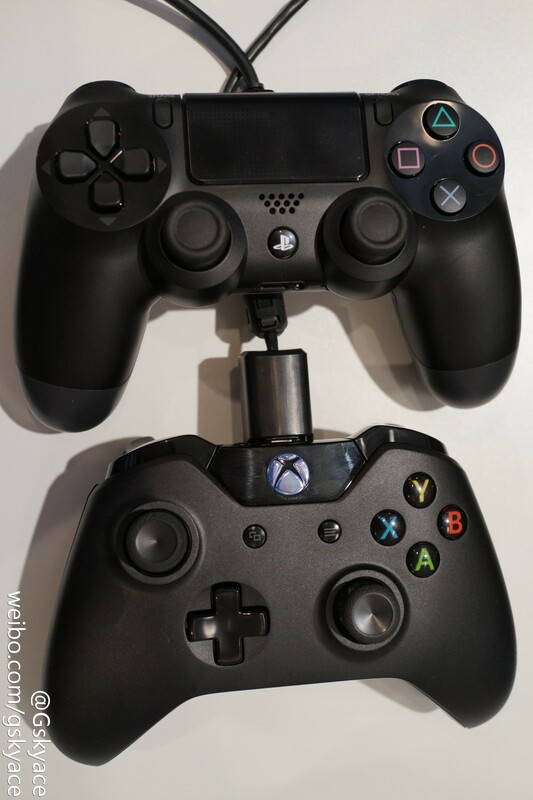 The image below from Chinese website Weibo offers us a side-by-side comparison of both next-gen controllers, and both look almost identical in size - which is relieving news for gamers swaying towards the PS4.